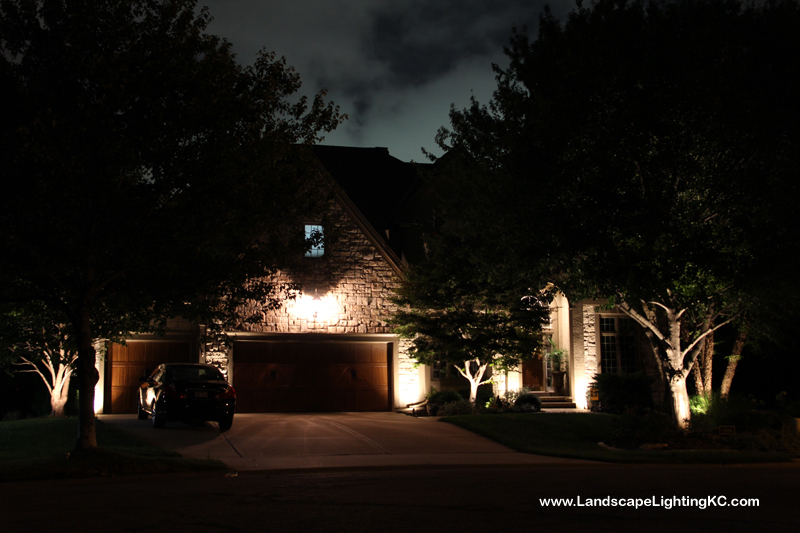 This past summer we installed a new landscape lighting system in both the front and back yard in this Overland Park home. 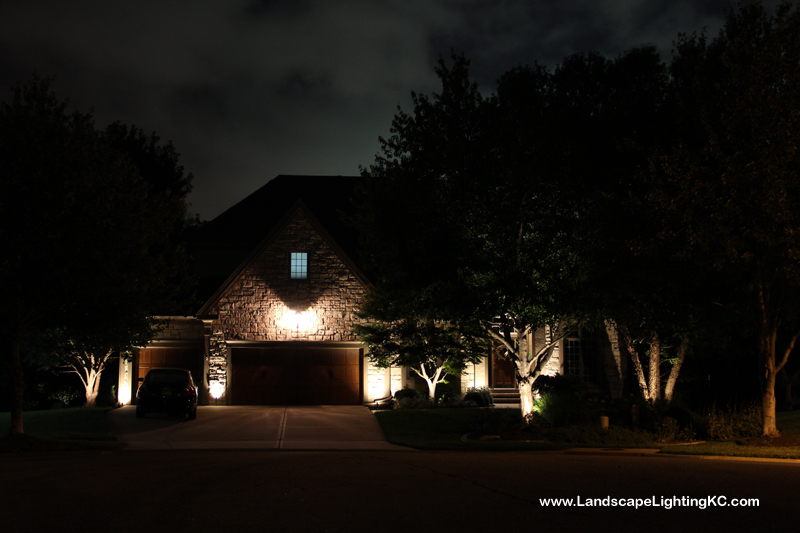 The new landscape lights really capture the stone on the front of the house and a few of the trees as well. 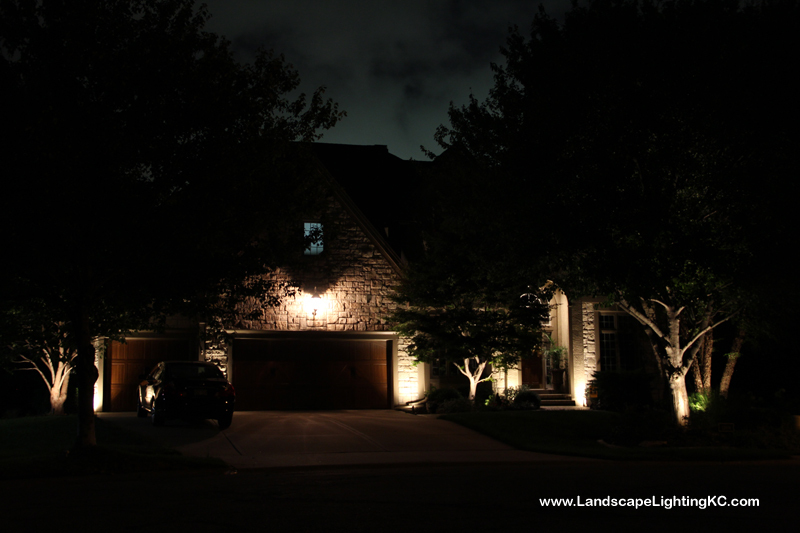 The house is in a rather dark cul de sac so when you turn the corner to come toward the house it truly stands out. 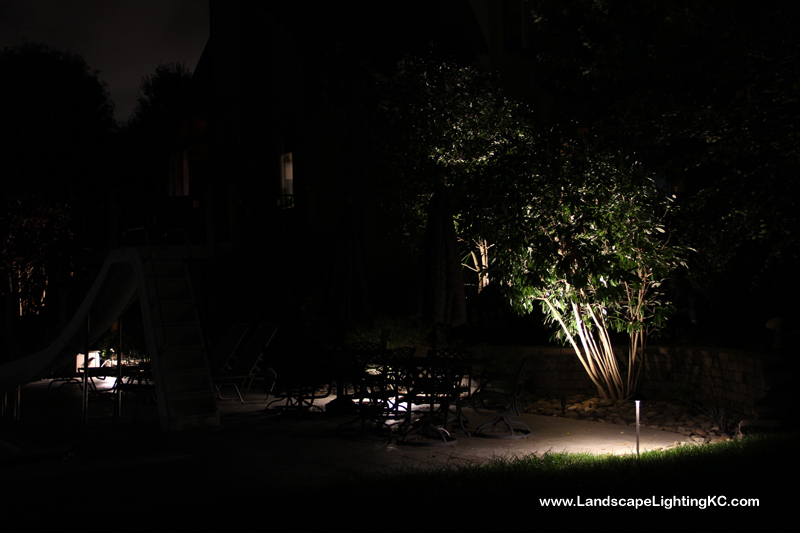 Landscape lighting adds safety and security to your home. 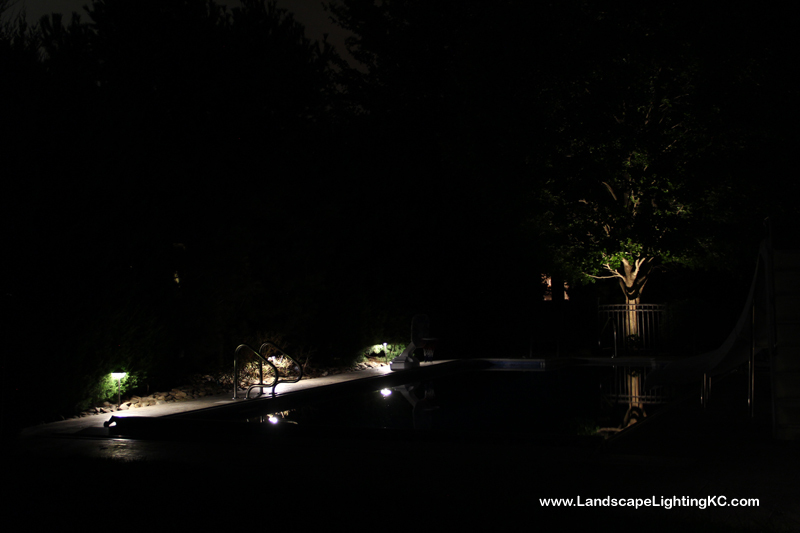 It provides elegance at night and keeps the burglars away too. Call us to find out more about how to light your home!